Five legal challenges against the Government’s plans to expand Heathrow have reached the next legal hurdle and will proceed to a full judicial review in March 2019. – A consortium of local authorities (Hillingdon, Hammersmith & Fulham, Richmond, Wandsworth and Windsor & Maidenhead), Greenpeace and the Mayor of London, Sadiq Khan. Due to the size of the cases, amount of paperwork involved, and the public interest in the case, the hearings in March will be heard by two judges and will be heard in the largest courtroom at the Royal Courts of Justice. It was also noted that a separate courtroom may have to be used as overspill, with a TV link to the main proceedings, also due to level of interest. “These legal challenges are of the Government’s own making. It is not insignificant that the judge has permitted all five claimants to proceed to judicial review. In addition to the claim from several councils and the London Mayor, the four other claims raise some serious points of law. “The third runway project is increasingly recognised as a non-runner. The Government needs to listen this time and time again and stop wasting taxpayers’ money in another failing Grayling project. Video and some photos from outside the Royal Courts of Justice today, before the hearing to ascertain details about the 5 legal challenges against a 3rd Heathrow runway. The main hearings will be over 10 days (might be more?) in March 2019. Opponents to a third runway at Heathrow are beginning legal proceedings to try to overturn the government’s plans to expand Heathrow Airport. In June, MPs rubber-stamped plans for a third runway at Europe’s busiest airport, which Heathrow says will cost £14bn and open in 2026. The option was unanimously recommended by the Davies Commission in 2015. The three-year study chose it over proposals for an extended northern runway at Heathrow and a second runway at Gatwick. But the project faces its first legal test as a coalition of groups opposed to expansion begin a challenge in the High Court. The Mayor of London, five local authorities and environmental campaigners say there are many unanswered questions about the wider environmental impact. They are joined by proponents of Heathrow Hub, the extended runway option, who claim that the decision process which led to the National Policy Statement was flawed. The High Court will decide which of the legal challenges has sufficient grounds to proceed to a full judicial review. 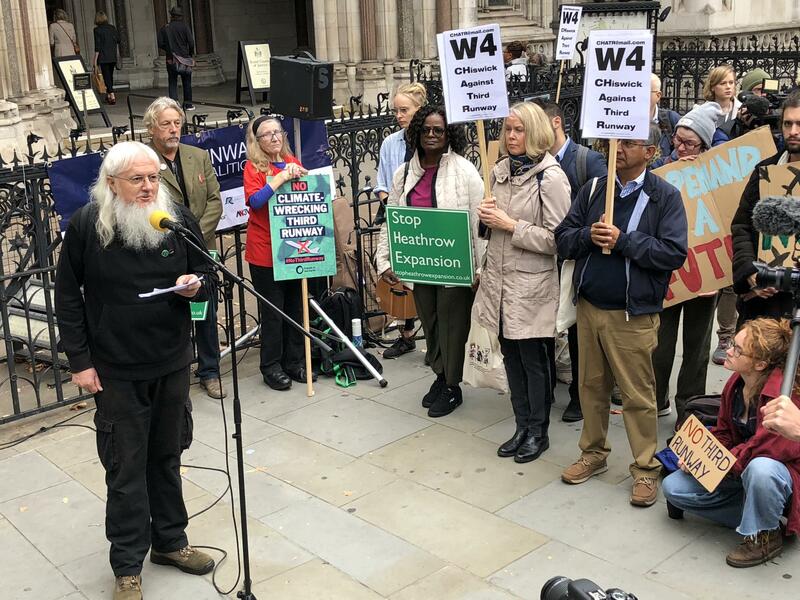 Paul McGuinness, chair of the No 3rd Runway Coalition, said: “The negative environmental impact of this highly disruptive airport should not be allowed to grow. “Having ignored evidence, such as the report of parliament’s Transport Select Committee, the decision to expand Heathrow was always going to end up in the courts, under judicial review. The court will give directions as to how claims should proceed, and a main hearing is expected to open in March 2019. The defendant in the legal action is the Department for Transport (DfT), which is backing the third runway option. A DfT spokesperson said: “Expansion at Heathrow is a critical programme which will provide a boost to the economy, increase our international links and create tens of thousands of new jobs. A Heathrow spokesperson said: “We are participating in the legal challenges as an interested party given our role as the promoter of this critically important, national project. “Our work in delivering Britain’s new runway will continue in tandem with this process, following overwhelming support in Parliament. Under a judicial review, the court cannot directly block the new runway from being built. But a judge could strike out parts of the government’s plan or order the policy to be reviewed. On the day the Davies Commission reported, 1 July 2015, Boris Johnson, then Mayor of London, said a third runway would never be built. The claims have been brought against the government’s airports national policy statement (NPS) — the legislation that effectively gives Heathrow outline planning consent. It was unanimously passed by MPs in a commons vote this summer. Support from Labour MPs helped to push through the proposals to expand Europe’s busiest airport with an overwhelming majority of 296. Chris Grayling, the transport secretary, said that the new runway would set a “clear path to our future as a global nation in the post-Brexit world”. However, legal challenges lodged with the High Court claim that it fails to properly deal with the impact on air quality, climate change, noise and congestion. Paul McGuinness, chairman of the No 3rd Runway Coalition, said: “These legal challenges are of the government’s own making. It is not insignificant that the judge has permitted all five claimants to proceed to judicial review. The most high-profile case is being brought by a cross-party coalition of five local councils close to the west London airport along with Greenpeace and Sadiq Khan, the London mayor. Mr Khan said that the legislation failed to properly deal with the threat of “hundreds of thousands of people being blighted by intolerable noise levels and worsening air quality in an area where pollution is already well above legal levels”. A second legal challenge has been brought by Friends of the Earth and another is from Plan B, the environmental justice group. A further challenge is from Heathrow Hub, the promoters of a rival plan to expand the airport, and a fifth is from Neil Spurrier, a resident from Twickenham. A sixth, from another individual resident, was dropped today. The court will hear the judicial review over ten days in March and pass down its judgment about a month later. It could render the NPS unlawful and force the government to make major changes to the legislation. This would inevitably delay Heathrow’s own planning process, although this was denied by the airport itself. At present Heathrow is due to publish detailed proposals for a third runway next summer before a formal planning application is lodged in 2020. It hopes to start work on the new two-mile runway in 2021 with flights taking off from late 2025 or early 2026. A Heathrow spokeswoman said: “We are participating in the legal challenges as an interested party given our role as the promoter of this critically important national project. Posted: Friday, October 5th, 2018. Filed in General News, News about Airports, Recent News.